The bread pudding travels well and is perfect for the festive season. In fact, we can’t find a single flaw in it – it’s got white bread, condensed milk, white sugar, clarified butter, nuts and everything that is forbidden we love. What makes a bread pudding a classic is the fact that it is such a comforting dessert. There are different kinds of bread pudding that can be easily made at home and are all equally timeless and iconic. This is a traditional British recipe made using leftover bread (not too stale though), heavy cream and some raisins with some cinnamon or nutmeg for flavour. The pudding, which is baked, is a Sunday treat in most homes across the UK and some even add a dash of Bourbon to turn it around into a boozy dessert. This is the Indian take on the bread pudding. 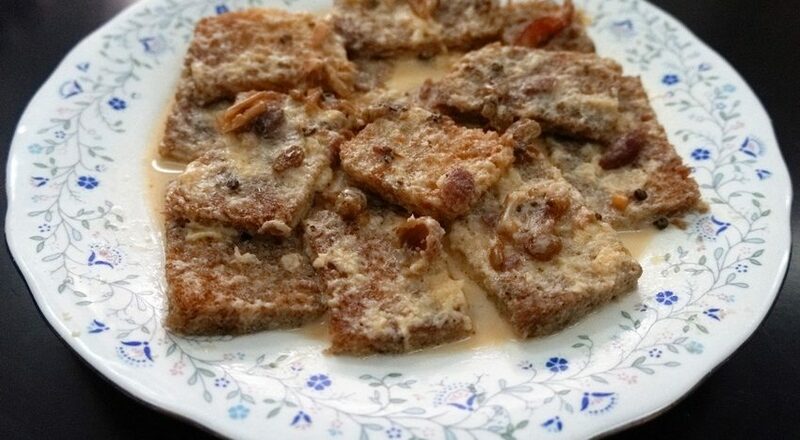 Hyderabadis are familiar with the double ka meetha, which is a close cousin of the shahi tukda. The recipe uses rabdi, made of milk that is reduced and thickened for hours, garnished with nuts and served with pieces of bread that have been fried in ghee. We’ve found you a recipe that allows you to cheat on the time taken to prepare the dessert, but retains the luscious texture of the rabdi. Hint: There’s condensed milk involved. This is a mix of the New Orleans-style dessert that is Banana Foster and the regular bread pudding. What’s not to love about banana-flavoured anything? The Foster sauce usually includes banana-flavoured liqueur and rum, which are flambed in a pan to form a dark sauce that is easy to get right. Will we order the burger pizza again?